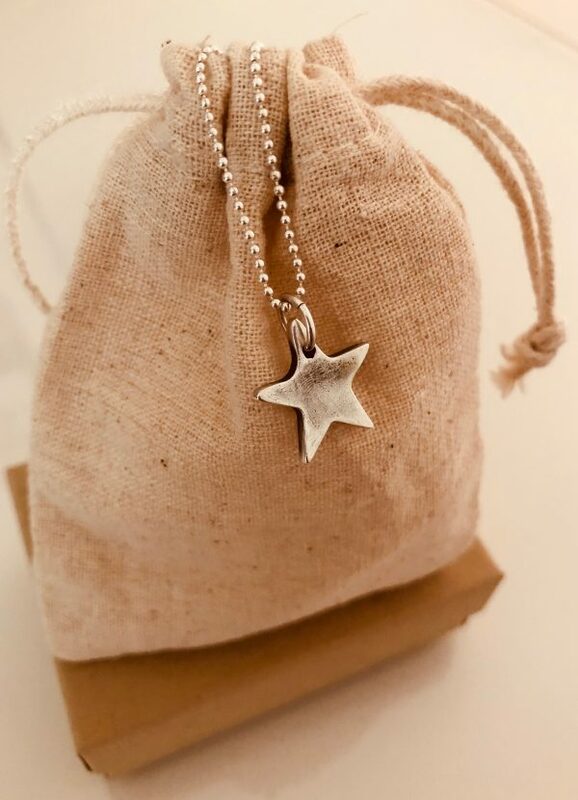 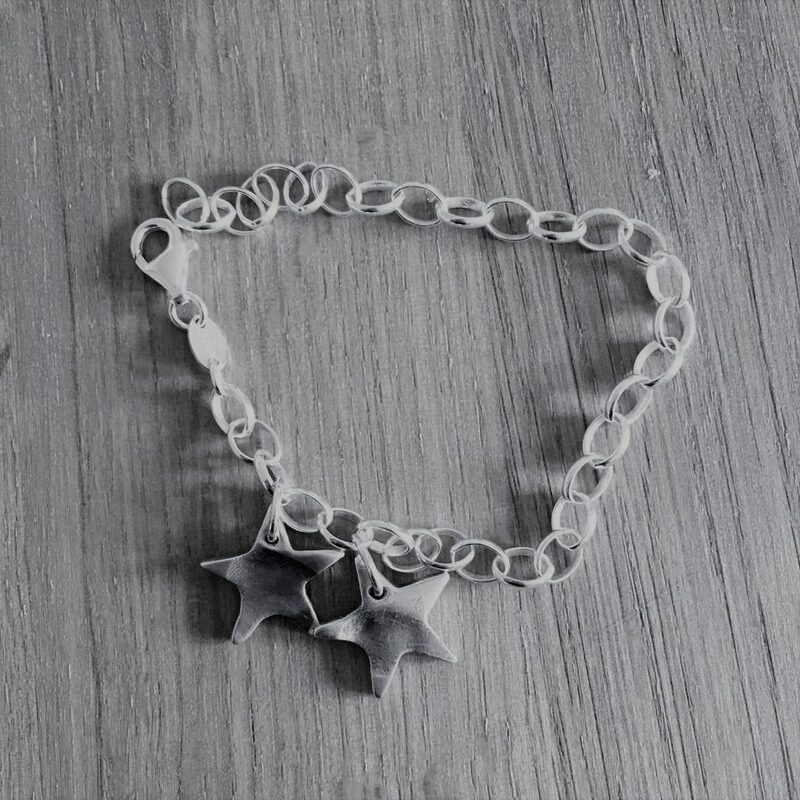 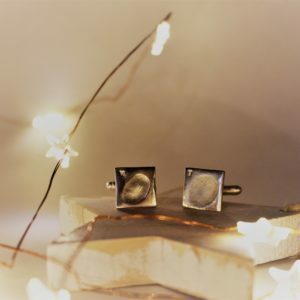 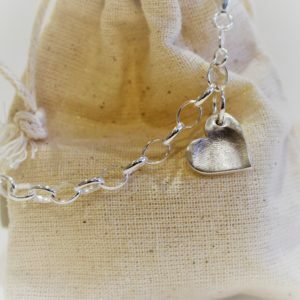 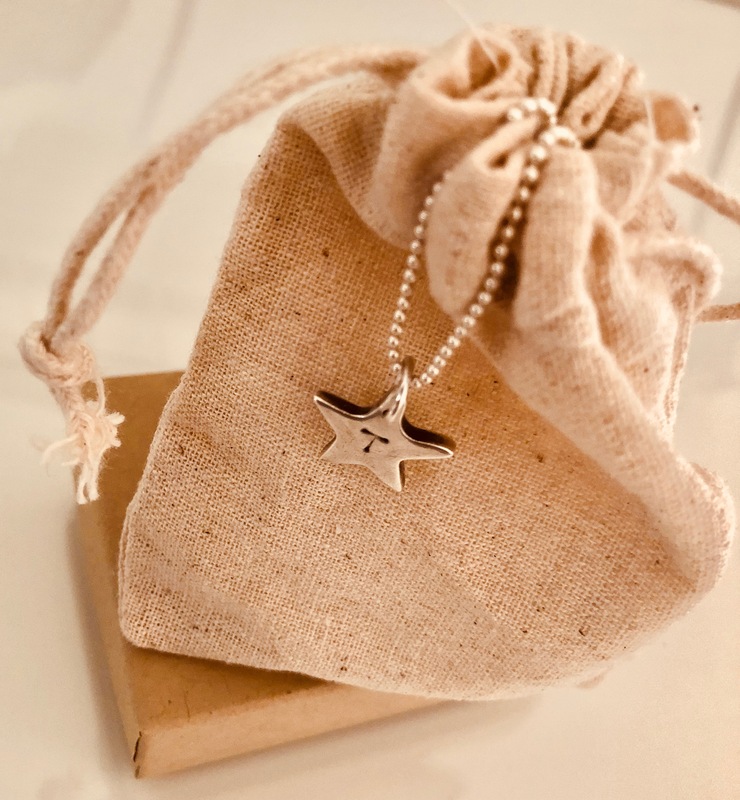 A small fine silver star with a precious fingerprint perfect on a necklace or bracelet. This can be personalised with a single initial hand stamped on the back at no extra cost. 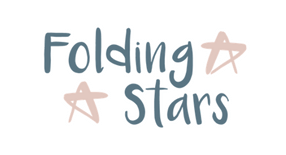 Please provide this detail in the notes section when you checkout.